Katie, this is gorgeous! I like how you just focused on her pretty face, your coloring as always is amazing! She is gorgeous!! Her hair is perfect!! Great presented and wonderfully decorated. Hi all! 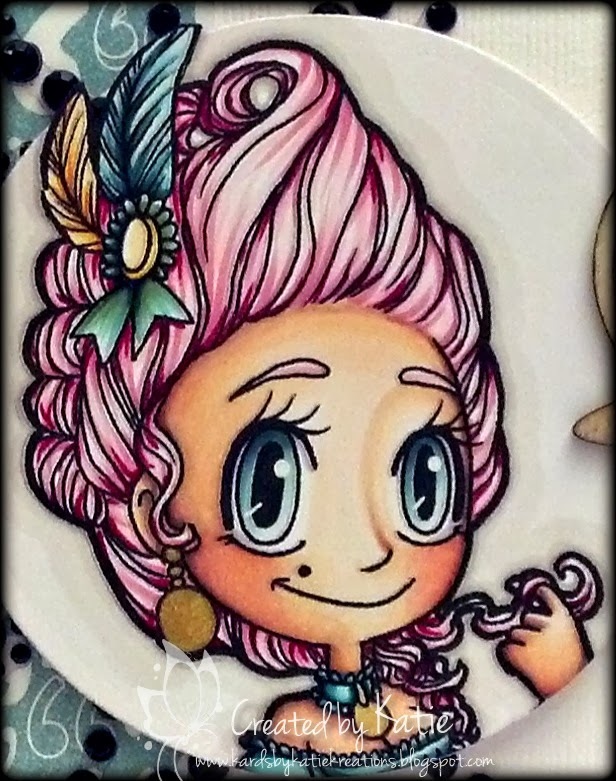 I'm just a single (and loving it) girl in her early thirties who loves to play with pretty paper, my beloved Copics and tons of cute stamps! I hate it when I have to interrupt my important crafting hours to do something as sensible as go to work but since I'm kind of fond of eating, and of sleeping in a warm bed, unfortunately that's where you'll find me during the week, lol! I hope you find something on this little blog of mine that's of interest or maybe sparks some inspiration...and if not then I'd settle for giving you a giggle every now and then! 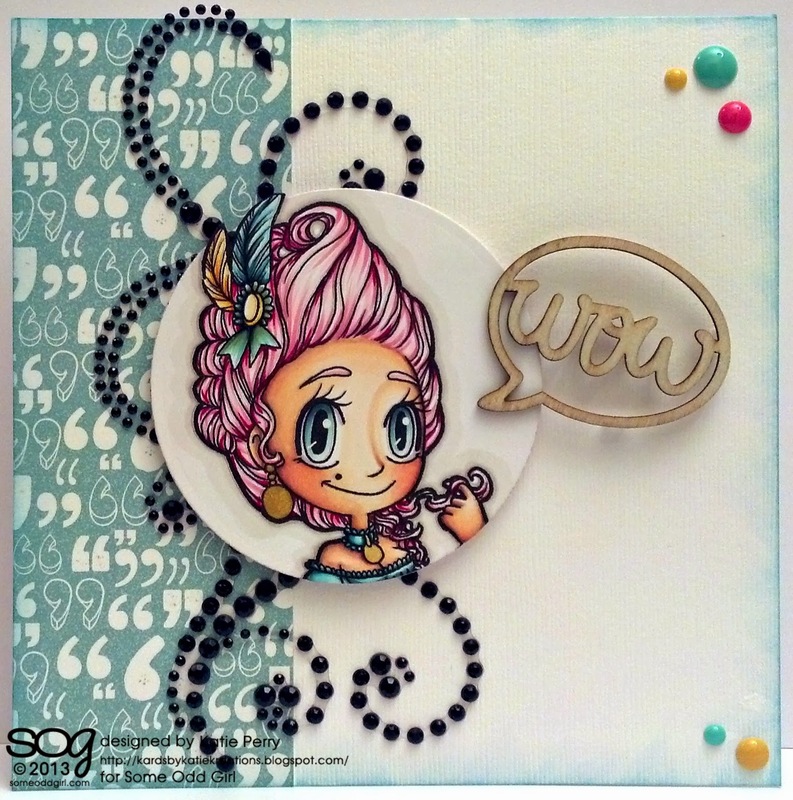 A Perfect Match- SOG and Paper Perfect Crafting!